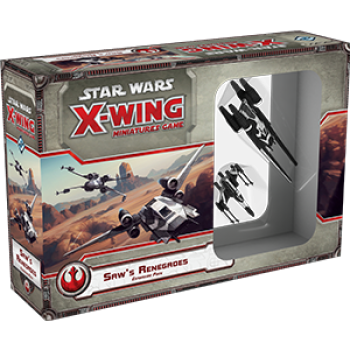 Take the skies with Saw Gerrera and his renegades with the Saw’s Renegades Expansion Pack! 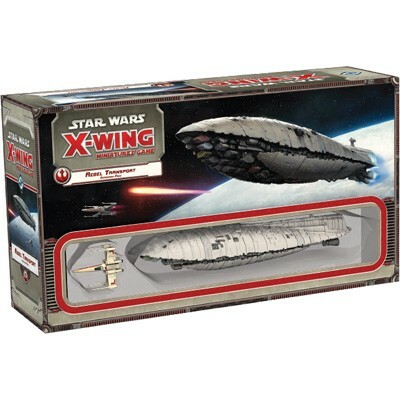 Rather than introducing completely new ships to the game, this expansion follows in the vein of the Rebel Aces Expansion Pack and the Heroes of the Resistance Expansion Pack by introducing new versions of existing ships already in the service of the Rebel Alliance. 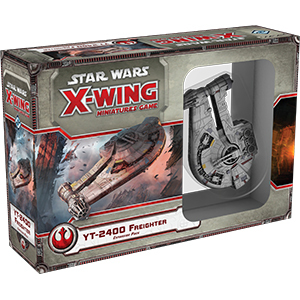 In this case, you’ll find two new ship miniatures—a U-wing and a T-65 X-wing, both pre-painted in the stunning red-and-white paint scheme of Saw Gerrera’s freedom fighters. 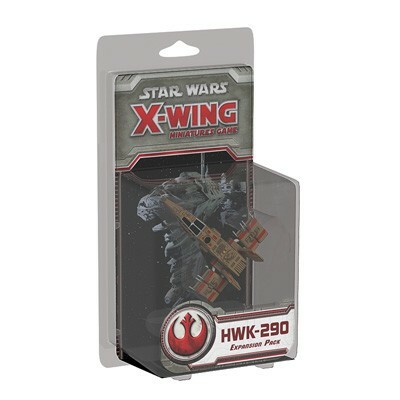 Though the ships may be functionally the same as the ones included in previous expansions, the Saw’s Renegades Expansion Pack offers an assortment of ship cards featuring pilots from Saw’s motley band of warriors—or even Saw Gerrera himself, flying his powerful U-wing into your battles. 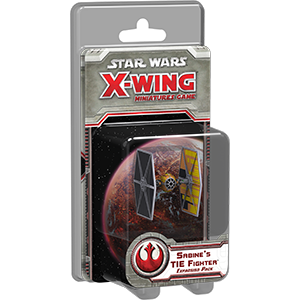 Along with new ship cards for both the T-65 X-wing and the U-wing, you’ll find an arsenal of fifteen new upgrade cards, equipping your squadrons with any number of unusual tactics or system upgrades.